Brette Bensinger focuses her practice in the area of labor and employment law, providing counsel to employers in both the private and public sectors. She has litigated class action discrimination claims, as well as retaliation and whistleblower lawsuits, and has particular experience in wage and hour disputes in the context of private litigation, as well as with the U.S. Department of Labor and Illinois Department of Labor. As part of her practice, Ms. Bensinger regularly counsels employers on workforce management matters, including medical leave and accommodations, employee discipline, overtime classification and noncompetes. Ms. Bensinger also conducts sensitive workplace investigations into claims of employee and corporate misconduct. In addition to her representation of businesses, Ms. Bensinger represents a number of state and local agencies, and served as a lead counsel representing the first elected official to be found in compliance with a longstanding federal discrimination consent decree, which is still active against other elected officials. 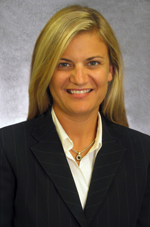 Ms. Bensinger joined Hinshaw & Culbertson LLP as an associate in September 2005. Previously she was a law clerk with the firm. During law school Ms. Bensinger clerked in the Crime Victims Division of the Office of the Illinois Attorney General and in Preliminary Hearings at the Cook County State's Attorney Office. Prior to her legal career, Ms. Bensinger was a project manager for an event marketing company, handling corporate sponsorship programs and contracts for music festivals nationwide.